Usually, I immunostained cells following Bear Lab's protocol. 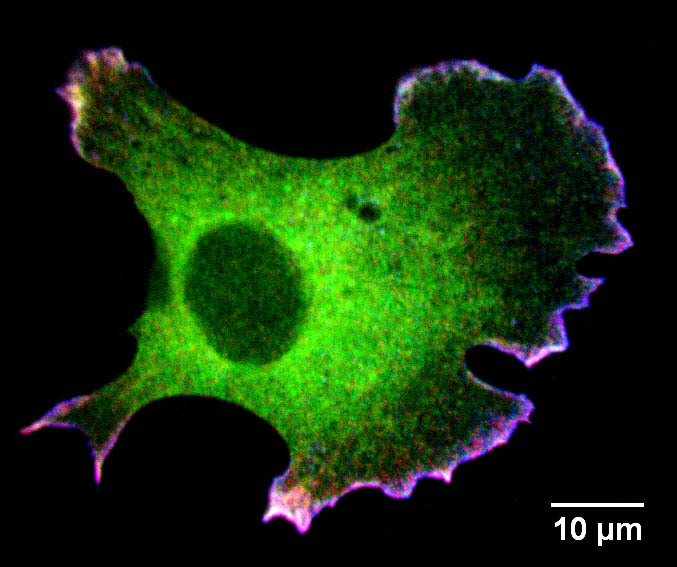 Then use spinning disk confocal microscope to take z-stack images with 0.2 µm interval. After that, I use ImageJ's "extended depth of focus" plugin (not "extended depth of field") to combine information from each frame to generate in-focused images, which does much better job than the traditional maximal intensity projection. 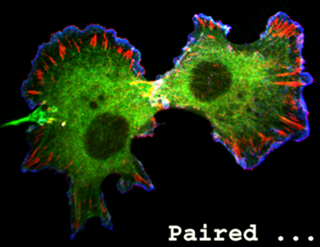 Here are examples of fixed-and-stained fibroblasts. You can follow this link and find more "pretty" images. Maintained by cail.cn 沪ICP备13004343号-5; 沪公网安备31011002000431号; Since Aug 13 2003.